50 mins How many drilling sites are left in the Permian? China’s new oil futures contract is gaining some momentum as a fixture on the global oil market, although hurdles remain before it can become a key benchmark for Asia. China launched its yuan-denominated oil benchmark in March to much fanfare, after years of planning and delays. The logic of starting up an oil futures contract in China is obvious. China is the largest crude oil importer in the world, and its growing appetite for crude has increased the urgency to establish a contract based on local supply and demand conditions. Importing such heavy volumes at dollar-denominated prices exposes Chinese refiners and consumers to currency risk. A yuan contract mitigates some of that risk. Beyond those concerns, the yuan contract also augments the global status of the Chinese currency. China is the world’s second largest economy and shifting more global trade into yuan advances Chinese influence. However, the new contract on the Shanghai International Exchange still has to overcome some hurdles before it can be taken seriously as a premier benchmark in the global oil market. Just because the contract was launched does not mean it will become dominant, or even relevant. Previous contracts have failed to garner sufficient liquidity and ultimately have been discontinued or have wallowed in irrelevance. The Dubai Mercantile Exchange’s Oman futures contract has been somewhat reflective of conditions in the Asian market, incorporating medium and heavy sour blends. 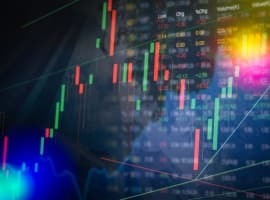 But “its daily traded volume and open interest (number of contracts outstanding) have remained at low levels since its inception in 2007, indicating it is not actively used among market participants,” the EIA wrote last week. As Reuters noted in early April, there are several ingredients for success. First, the contract must serve a need for hedging. Second, it has to attract enough traders in order to build liquidity. Finally, restrictions on trading, speculation, and capital controls must not be too onerous. Because China is already the world’s largest oil importer, the Shanghai contract can obviously meet the need for hedging. It also has a sizable pool of refiners and traders, which should allow the contract to build liquidity. An added advantage is that China imports medium and heavy sour crudes, while Brent and WTI generally reflect lighter and sweeter varieties. The need for some differentiation is there. Reuters notes the biggest uncertainty is over intervention in the market from the Chinese government, which could deter investors. But the desire by the Chinese government itself to successfully build the Shanghai benchmark might be a strong enough incentive to allow trading to proceed largely uninhibited. As such, the prospects look good for the Shanghai oil contract and trading volumes have picked up. For China, the trading of oil contracts in yuan reduces currency risk for Chinese consumers, and thus, the Chinese economy. Yet, with the rest of the world buying and selling oil in U.S. dollars, for oil traders, a contract denominated in yuan creates new currency risk. That could be a big deterrent and obstacle for the growth of the Shanghai contract, an obstacle that other futures contracts did not have to overcome. For instance, the USD/CNY exchange rate has appreciated 8 percent over the past year, the EIA points out. However, the global oil trade is gradually shifting east since that is where demand is rising the fastest. In 2017, the EIA says that Asia and Oceana accounted for 35 percent of global demand for oil and other liquid fuels, up from just 30 percent in 2008. That portion will continue to expand with China and India accounting for an outsized portion of demand growth going forward. That puts additional weight on the importance of a benchmark that reflects supply and demand conditions in Asia. Over the longer-term, the potential peak and decline of oil demand in the OECD West makes Asia even more important as a hub for the oil market. 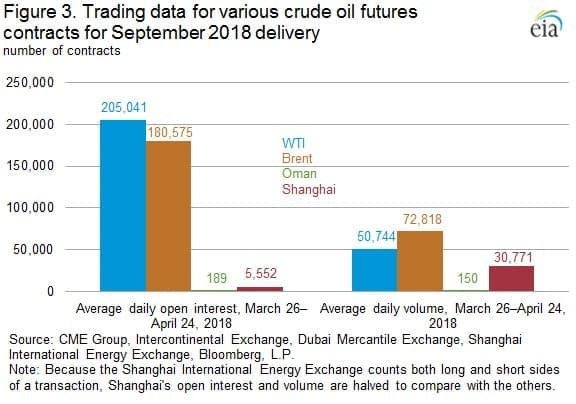 Already, the Shanghai contract has seen more trading volume for September 2018 delivery than the Oman contract. But volumes are still a tiny fraction compared to WTI and Brent. It could be a while before the Shanghai contract becomes a truly global benchmark. But it is on its way to becoming an important regional benchmark at least, reflecting medium and heavy sour conditions in Asia. China’s oil futures are indeed fast gaining momentum. In the first-day trading session for the contract lasing two hours and a half, 15.4 million barrels of crude for delivery in September 2018 changed hands. And exactly one week after China launched its crude oil futures, the petro-yuan denominated contract surpassed Brent trading volume. Already, it has seen more trading volume for September 2018 delivery than the Oman contract. How long before it overtakes the WTI? The truth of the matter is that China does not plan to allow the US financial system to dominate the world indefinitely. Right now, China is the number one exporter on the globe and the largest crude oil importer in the world and also the world’s biggest economy with a GDP of $23.57 trillion in 2017 (compared to $19.38 trillion for the US), based on purchasing power parity (PPP). Still, it won’t be easy for the petro-yuan to unseat the petrodollar without the participation of some major oil producers like Russia and Saudi Arabia. 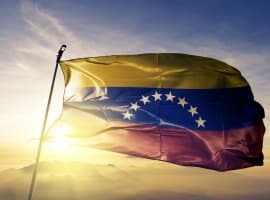 Russia is already on board along with Iran and Venezuela. China is now trying to persuade Saudi Arabia to start accepting the petro-yuan for its crude oil. If the Chinese succeed, other oil exporters could follow suit. I suspect that President Trump’s recent attack against Saudi oil is a warning to Saudi Arabia not to start accepting the petro-yuan instead of the petrodollar for payment for its oil exports to China and countries of the Asia-Pacific region. 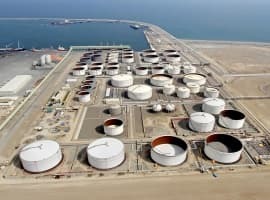 On balance, I think Saudi Arabia will compromise by accepting the petro-yuan for oil exported to China and the Asia-Pacific countries whilst continuing to accept the petrodollar for exports to the European Union (EU) and the United States. Even such a compromise will still tip the balance in favour of the petro-yuan since 75% of Saudi oil exports go to China and the Asia-Pacific region. Still, the Petro-yuan could prove to be a momentous game changer for the global energy markets, the global economy and the effectiveness of US sanctions. It is probable that the yuan will emerge as the world’s top reserve currency within the next decade with the petro-yuan dominating global oil trade.